For older adults, unexpected events can lead to serious personal injuries or illnesses that require long term care or even placement in a nursing home or other facility. 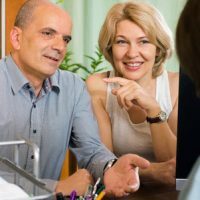 Paying for these services or an extended stay can easily wipe out all of the assets you worked to accumulate over the course of decades, leaving nothing for those you want to inherit from your estate. Medicaid planning can help prevent this from happening by providing benefits which offset the high costs you are likely to incur. However, if you own your own home it could work against you in terms of Medicaid eligibility. Medicaid is a program funded jointly through the state and federal government, which helps low income individuals, the elderly, and those who suffer from disabilities. Over the past decade, it has played an increasingly vital role in helping people meet the high costs of nursing home care. Personal care services: If you experience difficulties with one or more daily activities such as cleaning, cooking, and personal care, Medicaid can help to provide attendants and housekeepers to assist with these tasks. Medicaid eligibility is based on your income and medical need for services. If you have significant amounts of income or in financial accounts, we can guide you ways of shielding these assets, such as creating a trust. However, if you own your own home, additional actions are needed to ensure eligibility and protect your property. If you have a sibling who has lived in the home over the previous year. In some situations where you retain part ownership of your home while receiving benefits, the program may be entitled to place a lien on the property after your death. Creating a trust to protect your home can avoid this, but action must be taken at least five years before long term care is required. At Cavallo & Cavallo, we know how easily the high cost of long term care services can wipe out all your assets. To discuss ways you can protect yourself and your home, contact our New York medicaid planning attorneys and request a consultation in our Bronx or New Rochelle office today.